Nick Jonas is leaving the Jonas Brothers behind — for now. 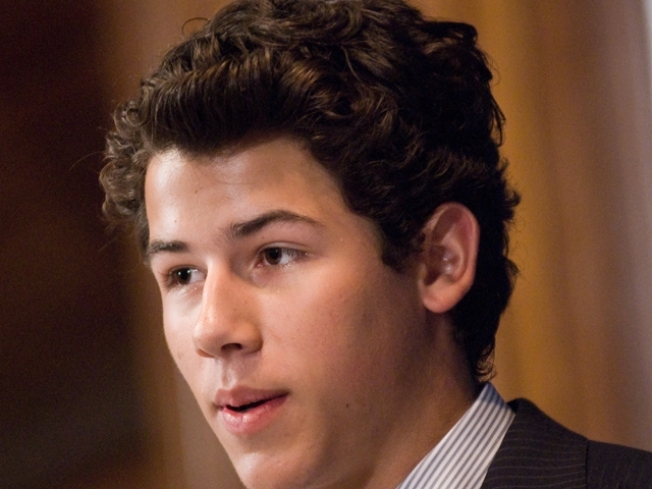 The youngest of the trio, 17-year-old Nick, will embark on a month-long tour with his new band, Nick Jonas & The Administration, beginning January 2, 2010 in Dallas, Texas. According to a posting on the Jonas Brothers' MySpace page on Monday, Nick headed to Nashville's Black Bird Studios earlier this year, where he recorded a host of songs he'd written over the last three years that were "not quite right" for the JoBros. Joining Nick in the studio were a number of musicians which eventually were dubbed The Administration. The outfit included drummer Michael Bland and keyboardist Tommy Barbarella who have played in the New Power Generation, and John Fields on bass. The album – "Who I Am" — will drop February 2 (Groundhog Day) on Hollywood Records. A single of the same name was released today, Nick noted on his Twitter. The new band with the teen music titan will make one of their first big music appearances performing at the Grammy Nominations Concert Live! Special, airing Wednesday December 2 on CBS at 9 PM. And as for the January jaunt, Nick said it will be an experience. "With this tour we're going to try to accomplish the same thing we did in the studio. That's capturing some heart and soul in the music, and having fun doing it," he said in a statement. While Nick will spend early 2010 on the road without Kevin and Joe Jonas, he Tweeted on Monday night how grateful he was to them for their support. "I just have to say thanks to my brothers for being as supportive as they've been," he wrote.